The Director and Financial Adviser of Fintech Financial Services is Grant Chapman. Fintech is a boutique full service financial advice business located in the Newstead/Fortitude Valley, Brisbane. The business currently manages over $80 million of assets and is committed to providing high quality financial services. Our clients are predominately Self Managed Super Funds (SMSF) trustees, business owners and high net wealth individuals requiring financial strategy and investment advice to maximise wealth, taxation benefits and returns. Fintech provides high quality personal advice transparently under a fee for advice model and does not receive commissions from investment providers or superannuation funds. Fintech SMSF Accounting now operates exclusively providing SMSF accounting services, meeting ATO regulatory requirements utilising an in-house qualified accountant and an external registered auditor. 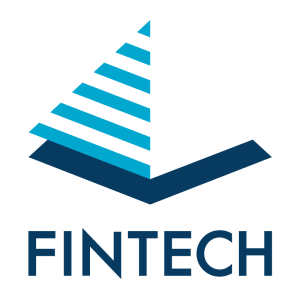 Fintech Financial Services Pty Ltd (Fintech) was formed in 2011 to operate a privately owned Australian Financial Services Licence (AFSL), and to provide a Managed Discretionary Accounts (MDA) structure for clients. The benefit of this structure includes that clients are the beneficial owner of each underlying share and investment in their portfolio. The structure is transparent, tax efficient and competitive to provide for the long term “future of financial advice” for clients. Fintech has mandated a leading investment manager and research house to construct and manage high quality portfolios across Australian Direct Shares, Global and Emerging Market ETFs, Property ETFs, Bonds, Term Deposits and Cash, called “Fintech Private Portfolios”. Seven portfolio asset allocation options have been cleverly designed to match client risk profile needs. Clients can logon anytime to a secure website to view their portfolios, underlying investments and reporting options. Our aim is to promote opportunities that are focused on the development and provision of technologies and solutions that reduce the worlds negative environmental, climatic and social impacts. “Investments with a sustainable and profitable future for ongoing generations”. We utilise operational efficiencies and technologies that minimise waste and maximise recycling. For example, we operate a green Reduced Paper Office (RPO), and utilise environmentally clean resources where ever possible. Fintech Financial Services also provides support to community and charitable organisations.